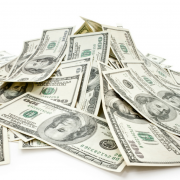 $80 Million Unclaimed…life insurance. Where Are YOUR important documents? When faced with the sad loss of a loved one the bereavement process can be an incredibly difficult period. It is certainly not a time when we need additional stress. One of the earliest tasks that often needs to be completed is locating important documents such as insurance policies, wills, funeral plans etc. If your loved ones don’t know where to look can you imagine the distress this can cause? What if you passed away and your intended beneficiaries could not locate your life insurance policy? According to ASIC there is around $80 million of unclaimed life insurance in Australia. Perhaps this proves just how difficult it may be at times to locate documentation – or if many loved ones even know a policy exists? 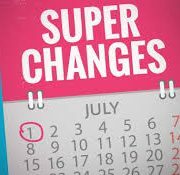 Life changes… We move house, forget to update addresses, relationships change or we take out insurance and don’t inform anyone. Future difficulties for our loved ones are certainly NOT what any of us intend when we take out a policy or plan to assist them financially in the event of our death. Traditionally we have used filing cabinets, briefcases, safety deposit boxes, fireproof safes, external hard drives and flash drives to preserve and protect our important documents and data. The downside of most of these methods is that documents and data can be damaged, stolen or lost. It may be that nobody even knows WHERE important documents are held or WHAT documents exist. In Jamie Wilson’s case the difficulty of this task was the catalyst for creating a business that would ultimately deliver a worry-free digital solution to file storage for important documents. When his father was diagnosed with terminal cancer, Jamie’s trauma was compounded when he realised there was no ONE safe place where he could access all of his dad’s most sensitive documents including his will, insurance papers, passwords to online accounts and other confidential information. As a result, accountant turned entrepreneur Jamie was driven to create Your Digital File. Given his own experience it is not just business – it’s also personal. Jamie worked tirelessly for three years with the world’s top online security experts to fulfil his dream to help people survive such worst-case scenarios. His online solution was realised with the launch of Your Digital File – a single source of confidential documents stored in a cloud-based virtual vault that is only accessible to those with explicit permission. At one such critical juncture Jamie met a young woman whose father had died suddenly. Because she could not find evidence of any insurance and didn’t know of his superannuation accounts she and her mother were facing foreclosure on their home. For Jamie this meeting reaffirmed the urgency and necessity of his mission. He also became determined to set an entry price affordable for all families. Nobody can predict when tragedy will strike – be it illness, natural disasters like flood or bush fires or criminal activity such as identity theft or computer hacking. Your Digital File is like a ‘fortress in the cloud’ where only you and your designated family and/or loved ones can access critical, confidential information such as wills, trust deeds, power of attorney documents, funeral plans, family photos, passwords, letters and more. “Your Digital File makes this process simple while also providing unmatched security and a full audit trail that preserves the integrity of documents,” says Jamie. From as little as $1 per month you could provide the peace of mind that YOUR loved ones will have access to everything they need. Give us a call TODAY and we will send you further details of Your Digital File or go to www.yourdigitalfile.com. Make sure you mention our name to them! http://www.indigofinance.com.au/wp-content/uploads/2017/06/IF-Article.png 788 940 IndigoFinance http://www.indigofinance.com.au/wp-content/uploads/2017/01/indigo-finance-logo.png IndigoFinance2017-06-26 12:30:022017-06-11 21:32:38$80 Million Unclaimed...life insurance. Where Are YOUR important documents? Planning for retirement. Will you have enough money? However, 66% of respondents also said they are worried about having enough money in retirement. This is a concern for many of us as almost 80% of Australians over 65 receive the Aged Pension. For 66% of those retirees the pension is their main source of income. Coincidence? What should a plan include? There is no ‘one size fits all’ plan for wealth creation. If you are in your 20’s and plan to retire at 65 your options may be more diverse than if you’re approaching 50.
http://www.indigofinance.com.au/wp-content/uploads/2017/06/IF-20-06-17.jpg 400 700 IndigoFinance http://www.indigofinance.com.au/wp-content/uploads/2017/01/indigo-finance-logo.png IndigoFinance2017-06-20 12:00:032017-06-11 21:26:59Planning for retirement. Will you have enough money? Change is coming 1 July. Super! 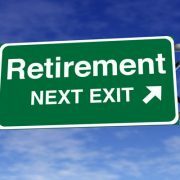 Okay, so maybe your’re thinking that retirement for you is a long way off? Should you be worried? The trend has largely been attributed to our current older generation being the first ‘sandwich’ generation. Many over 50’s are under financial pressure from intergenerational dependency resulting in almost $200 billion being contributed to both their parents and children in their lifetime. http://www.indigofinance.com.au/wp-content/uploads/2017/06/IF-11-06-17.jpg 175 288 IndigoFinance http://www.indigofinance.com.au/wp-content/uploads/2017/01/indigo-finance-logo.png IndigoFinance2017-06-12 12:00:152017-06-11 21:03:26Change is coming 1 July. Super!